“A few months from now, a group of people will come here with something called an electric car. I need to know whether or not you have the right voltage connection for them to plug in their vehicles. Do you understand what I’m asking for?” Mr. Dev Reddy, manager of a gas station in rural Anantapur district of India’s Andhra Pradesh looked at me as if he understood. It was 2008, and most people in India had never seen an electric car, but without flinching he took me to a shed to reveal a large plug point, which was used to power an electric sugar cane juicing machine. One look at it and I knew that there was sufficient voltage coming through the connection to be able to charge the lithium-ion battery in the REVA electric vehicles my friends and I would be driving 3,500 kilometers across India. A government watchdog suggested that Congress might want to prohibit the Defense Department from spending money on Afghan military units whose members sexually abuse children or commit other human rights ­violations. But the Pentagon disagreed with that idea, saying such incidents must be weighed against U.S. national security interests. The suggestion was made by the office of the U.S. Special Inspector General for Afghan Reconstruction (SIGAR) in a previously classified report released Tuesday. It highlights the challenges the U.S. military faces in partnering with forces abroad that do not always adhere to the same codes of conduct. U.S. troops have long complained that some Afghan commanders sexually abuse boys. The Chinese government has revealed the existence of two underwater sensors situated between the United States island of Guam and the South China Sea. Though officially for scientific research, the undersea listening devices are likely doing double duty, monitoring the movements of American and other foreign submarines and potentially intercepting their communications. The state-run Chinese Academy of Sciences only disclosed the pair of acoustic sensors earlier in January 2018, but had been operating them since 2016, according to a report from the South China Morning Post. One of them is in the Challenger Deep, located at the southern end of the Marianas Trench and the deepest known point on earth, and the other is situated further west near the island of Yap, part of the Federated States of Micronesia. Both reportedly can pick up acoustic signatures more than 620 miles away, putting them within range of Guam and the major strategic U.S. naval base at Apra Harbor. “Insane.” “Deeply dangerous.” Raises the risk of “nuclear exchange” and a “new arms race.” These are some of the serious accusations leveled against the recently leaked Nuclear Posture Review. Each presidential administration since Clinton has written an NPR, primarily to guide U.S. nuclear policy and priorities, but the 2018 NPR is shaping up to be one of the most contentious and important. Bipartisan consensus, though increasingly rare in other policy areas, has generally been the norm on nuclear policy as the degree of continuity between policies in previous NPRs demonstrates. The Trump NPR, when it is released, will likely be more of the same with a few tweaks to U.S. capabilities in response to the worsening international threat environment. Riyadh has emulated Abu Dhabi in unveiling a vision to transform Saudi Arabia, but it is likely to encounter similar challenges to the United Arab Emirates. Vision 2030 will help in some areas but could also exacerbate regional tensions and increase the divide between the rich and the poor. Saudi reformers hope to overhaul the education system, but their efforts might do little to provide students with the skills necessary for the future. On December 12 at the Atlantic Council, U.S. Secretary of State Rex Tillerson revealed the United States had assured China that in future North Korean “eventualities,” U.S. military forces moving into North Korea would later pull back south of the 38th parallel—which currently divides North and South Korea—thereby signaling a willingness to work with Beijing to reach an understanding regarding the future of the Korean Peninsula. Similarly, the political scientist Oriana Skylar Mastro, writing in this magazine, argued that “China is no longer wedded to North Korea’s survival” and may in fact wish to cooperate with the United States in the event of a crisis. Syria enters its seventh year of fighting in 2018. Hunger and disease will affect millions of people in Somalia, South Sudan and Yemen. Around the world people will flee conflict only to become trapped in misery, as seen in Libya. People will suffer from immediate and long-term effects of conflict and violence, as I witnessed in Central African Republic earlier this month. While attending the World Economic Forum's Annual Meeting in Davos, I will remind global leaders of the need to assist and protect civilians trapped in war zones. If we don’t, the result will be global instability, major breakdowns of social and economic systems, and a failure to achieve the SDGs. In Davos, Alibaba founder and Executive Chairman Jack Ma spoke openly and at length about some of the key challenges facing the world, delivering a stream of perspectives and guidance.On the impact of technology "We are very lucky because the world is in a big transformation because of technology. This new technology will create a lot of successful people, interesting careers but honestly every new technology will create social problems. Last week, Secretary of Defense Jim Mattis released the 2018 National Defense Strategy (NDS). Mandated by Congress, the NDS replaces the erstwhile Quadrennial Defense Review. However, it differs in one crucial way: The NDS is classified; therefore, the document Mattis released is an unclassified summary of what is likely a more detailed and far-reaching strategic guidance document for the U.S. Defense Department. By rolling out the NDS himself, Secretary Mattis succeeded in conveying that this is hisstrategy, not simply the work of hundreds of diligent Pentagon staffers. That ownership sends a crucial signal to senior defense officials and to members of Congress about his support for and willingness to facilitate its implementation—which will be challenging, to be sure. In the last five years, Russia has increased its underwater activity four to five times (Redstar.ru, November 8, 2017). Thirteen new Russian nuclear and conventional submarines have been commissioned since 2014 (24tv.ua, December 27, 2017). These vessels are capable of carrying out various offensive and multipurpose underwater missions, as well as to launch navy seals (special forces) for operations against enemy maritime infrastructure. Two massive macroeconomic trends are colliding at this snowbound congregation of the world’s economic leaders: the insistence on providing a fair work environment for women and minorities, as well as the adverse impacts automation and artificial intelligence (AI) have on the global workforce. Setting the tone: last November’s The Global Gender Gap Report 2017 from the World Economic Forum (WEF), which sounded the alarm over results that progress toward parity between men and women in technical roles had dropped since the report from the previous year. “In 2017, we should not be seeing progress towards gender parity shift into reverse,” according to Saadia Zahidi, WEF Head of Education, Gender and Work. The United Nations should change the way it does business in high-security risk peacekeeping operations, as the UN flag no longer offers ‘natural’ protection to mission personnel, according to a new report, which calls for better training for ‘blue helmets,’ more technology and greater freedom to respond to the threat posed by armed groups. “Unfortunately, hostile forces do not understand a language other than force,” warns the report, titled Improving Security of United Nations Peacekeepers, arguing that projecting strength is more secure for uniformed and civilian personnel than risk-averse approaches. Since 1948, more than 3,500 personnel have lost their lives serving in UN peace operations with 943 due to acts of violence. Since 2013, casualties have spiked, with 195 deaths in violent attacks, more than during any other 5-year period in history. While the value of overarching strategy documents is often derided, the National Defense Strategyserves three important functions: first, setting out the vision and priorities of elected leadership for the Defense Department; second, giving the uniformed and suited professionals in the Defense Department an opportunity to educate new political appointees as they take the helms of responsibility; and third, providing a guide to Congressional overseers and the taxpaying public for how a $700 billion enterprise will be run. So the process is important. It’s important for civilian control of the U.S. military, and it’s important for holding those civilians accountable. And the Defense Department does a better job — by far — than any other government department to provide a guide to its priorities and how it intends to achieve them. The National Defense Strategy will guide the National Military Strategy, which will in turn guide more specialized planning documents that determine force levels and priority users in different contingencies. LATER this month, if all has gone according to plan, a rocket called the Falcon Heavy will take off from Cape Canaveral, in Florida (see article). Its mission is to put a sports car in orbit around the sun. The Falcon Heavy is the latest product of SpaceX, a firm founded by Elon Musk, an American billionaire. The car is Mr Musk’s own, made by Tesla, another of his businesses. SpaceX has the explicit aim, besides making money, of enabling people to travel to and colonise Mars. Before then, the Falcon Heavy may earn its keep lifting satellites and carrying tourists on “slingshot” trips around the moon. 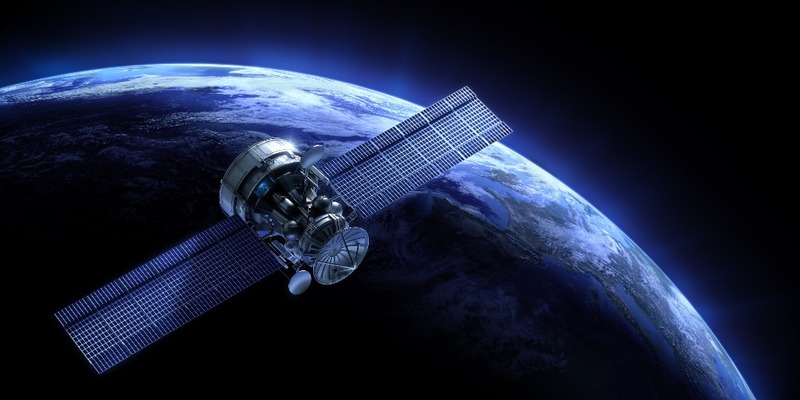 Bottom Line: China is aggressively pursuing capabilities such as anti-satellite (ASAT) weapons that could diminish the U.S. military’s reconnaissance, navigation and communications in case of war in the South China Sea or on the Korean Peninsula. 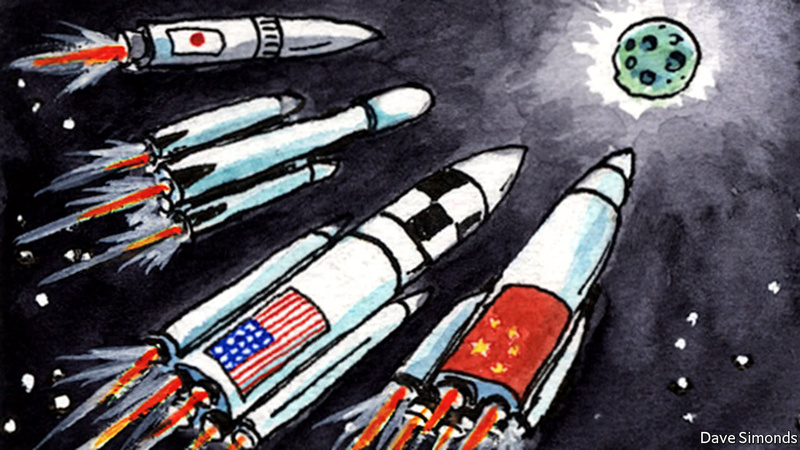 But while China’s ASAT capabilities threaten U.S. assets in space, it’s still unclear how they fit into Chinese military doctrine, and how or in what instances they would be deployed. The U.S. also lacks a clear path for reining in the proliferation of these capabilities because of its own reliance on ballistic missile defense systems that are viewed similarly as potential ASAT weapons. A lack of leadership and a reluctance to move aggressively against potential attackers are responsible for the worst spate of United Nations peacekeeping fatalities in the organization’s history, according to a report released on Monday. If adopted, the recommendations of the unusually blunt report could significantly increase the prospects for use of deadly force by United Nations peacekeepers. Roughly 110,000 blue-helmeted soldiers and police officers from a range of countries are deployed in the organization’s 15 peacekeeping missions around the world, entrusted with the responsibility of protecting civilians. “Overall, the United Nations and troop-and-police-contributing countries need to adapt to a new reality: the blue helmet and the United Nations flag no longer offer ‘natural’ protection,” stated the report, which was posted on the United Nations website. In December 1967, an American Navy vessel called the Pueblo departed Pearl Harbor, heading for Yokosuka, Japan. It was the last time the ship, a dilapidated former cargo carrier now operating as an American intelligence collector, would see the United States. In January, the Pueblo began its first mission, conducting electronic intelligence operations off the coast of North Korea. Then, on Jan. 23, 1968 — 50 years ago today — the ship came under attack by North Korean forces. The slow and poorly armed American ship was badly overmatched. The captain soon surrendered, with one dead and numerous wounded. North Korean forces quickly boarded the Pueblo and towed the ship and her 83 crewmen to Wonsan. The men spent a brutal year in North Korean prison camps where they were beaten, tortured and used as propaganda tools, before being released a few days before Christmas 1968. The ship is still in North Korea, serving as one of the country’s leading tourist attractions. 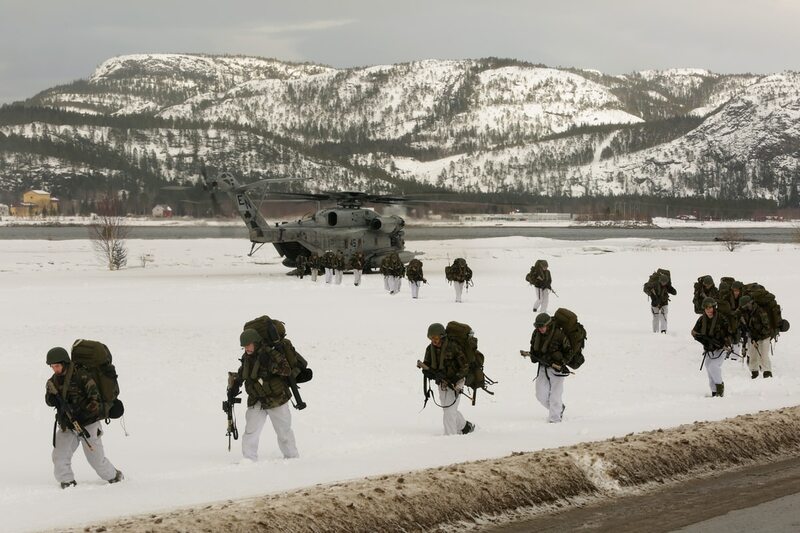 As Norway prepares to host one of its largest military exercises in decades, the country is working to protect its defense events from cyber threats, particularly those from Russia. The Norwegian Defense Forces’s (NDF) Cyber-Force Unit (NDF-CFU) has partnered with state telecom, Telenor Norway, to develop and deliver advanced cyber-defense solutions to deal with cyber-based threats. This includes attacks on critical IT systems and infrastructure that are used to manage and monitor specific events such as military exercises.